Michael Blackstone and his team of aerobatic instructor pilots have been teaching the art of aerobatics in Orange County for over 20 years. They are all very well versed in flying and teaching the intricacies of flying aerobatics in and around the Los Angeles area. The methods they employ are designed to make learning aerobatics easy and fun! They strive to build the confidence of their student incrementally to get them comfortable with handling the aircraft in all phases of flight and in any flight attitude. So, whether you are a pilot with a little or a lot of flying experience, or simply avid aviation enthusiast who has never flown a plane but would like to understand aerobatics better, you have come to the right place! You will fly our current production, extreme aerobatic aircraft - Pitts S-2C or Extra 300L. Both aircraft types are at the pinnacle of their respective aerobatic competitive worlds, and both are the most current models. We only offer these aircraft because we feel that when you love the aircraft you will perform better in the air flying it. We can, and usually do, customize our training programs to best suit your individual wants, needs, and experience levels. These incredible aircraft are NOT out of your league. You can and should fly them. You will absolutely love flying either of these planes, as they are every pilot's dream to fly! Use of proper recovery procedures to enhance your instincts and situational awareness (SA). Our main goal is to develop your instincts by creating excellent habits that will keep you out of trouble in an emergency. You will not find a finer group of professional, highly experienced, personable and fun group of instructor pilots anywhere in the world to show you the ropes. We look forward to teaching you the art of flying aerobatics and we feel privileged to have the opportunity to inspire you to become a better and safer pilot; no matter what your experience level currently is. So even if you have never flown aerobatics before we will be very patient with you and work with you until you get it. 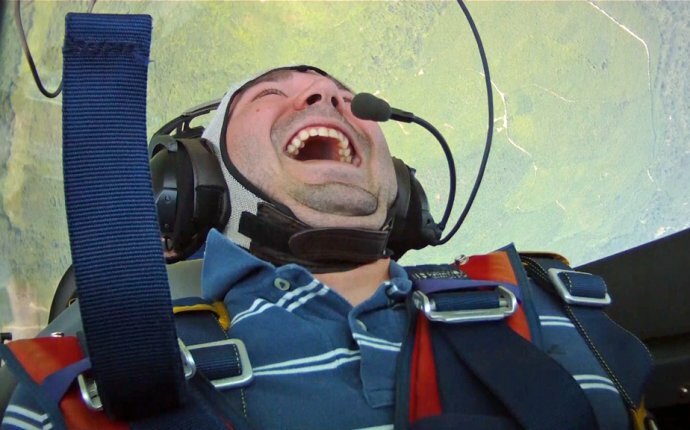 This program is designed to get you comfortable with unusual attitudes, upset recoveries and basic aerobatics. After receiving a detailed pre-flight briefing on aerobatics and a parachute safety briefing, you will be strapped into one of our world-class stunt planes. After takeoff, you will assume control of the aircraft and transit to our aerobatic training area just off the California coastline.